I know this month is supposed to have Ramzan specials, but I visited this place quite some back and forgot to write about it. We had to have a quick lunch as we were scheduled to have a meeting post lunch, so we spotted Venu on the way and plunged inside. The ambiance was neat and classy, especially for a stand alone south Indian restaurant. A chef is right there to make omelets, south indian style and the menu is pure south of south Indian. 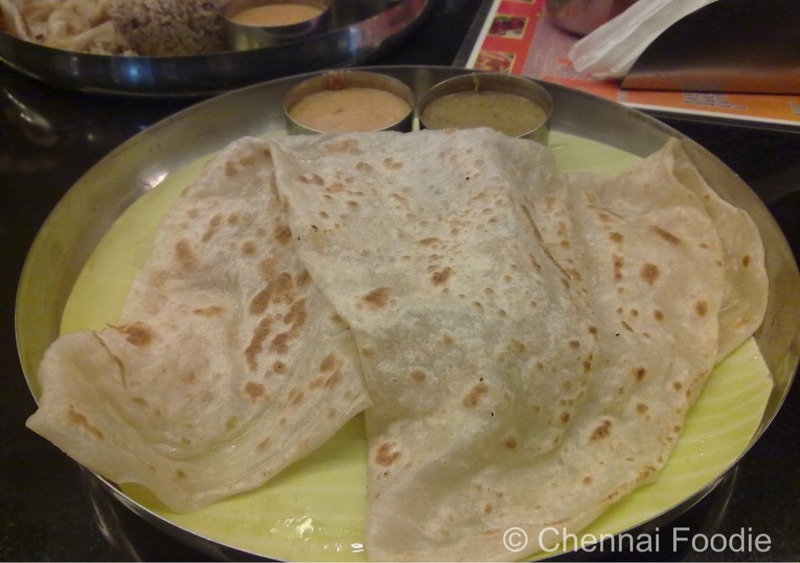 We opted for a biriyani meal, and ordered a veech parota, gravy and a karandi omelet. The meal priced at Rs. 179 was pretty huge. 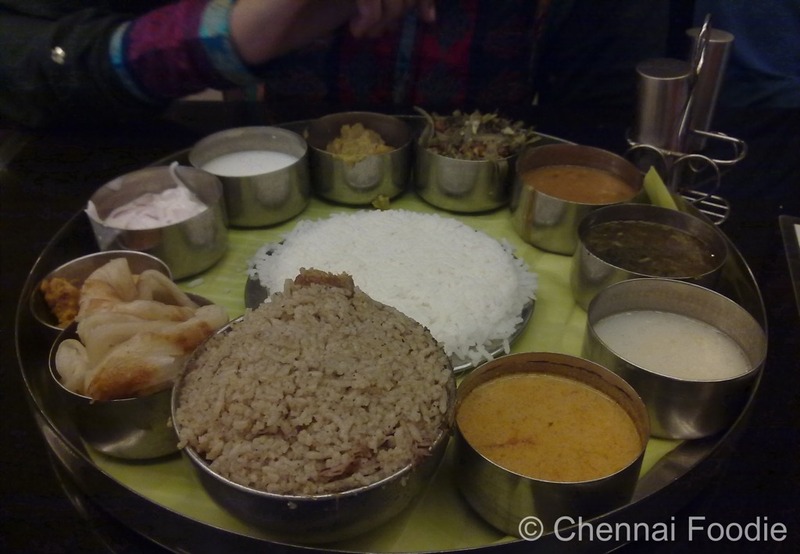 It had rice, parota, biriyani along with accompaniments and tastes very much like the road side in dindugal. Dont expect a muslim biriyani, this is the south indian version, I liked the taste, but I would not call it biriyani. The veech parota was super nice, but the gravy that came with it could have been better. The karandi omelet was nice, first time I am having it, so I can't compare it with dindugal standards, but to me it was nice. Service was quick and the prices were decent. If I feel like eating some south Indian fare, I would head here. 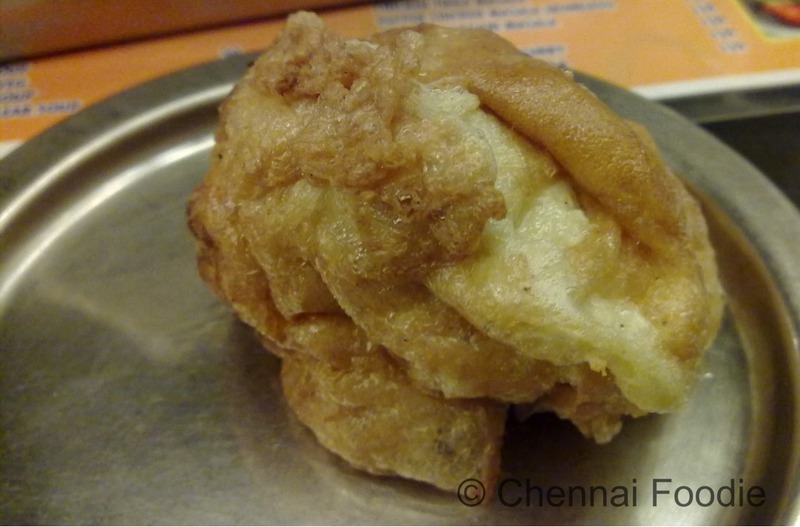 Venu is on nungambakkam high road, opp ishpahani center, behind barista.